Here in the great white north, winters can be… well… pretty great and pretty white! Unfortunately they can also be pretty annoying for your everyday commute, just trying to get from point A to point B. One thing that can really help keep you safe and make your drive easier is, of course, a decent set of snow tires. If you just spent a small fortune on a brand new car, the last thing you want is to slip on some ice and have the thing destroyed! 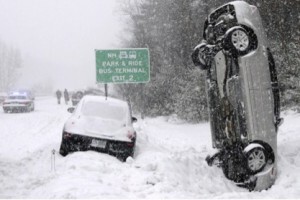 Snow tires are a small price to pay for a better drive and reduced risk of damage. 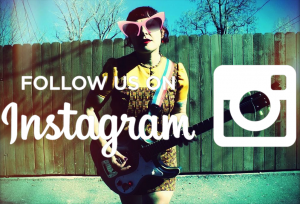 What does this have to do with guitars? Nothing! But here comes my analogy anyway. 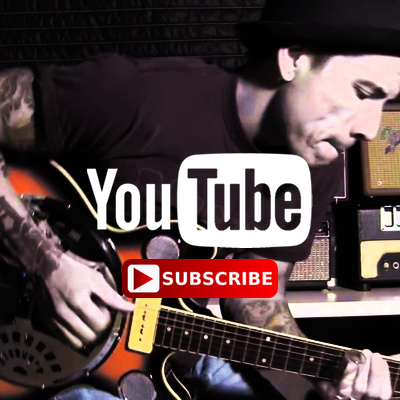 If you’ve spent a small fortune on a nice guitar and a nice amp, wouldn’t it make just as much sense as snow tires to want to represent their sound to their full potential? To reduce risk of damage to components? To help the signal flow from point A to point B well? The term “it’s just a cable” is one I hear far too often, and while it’s true that most cables can get the job done, (to a degree) not all cords are created equal. Taking good care of your cables is important, and using a quality cord where it is required can actually improve your tone. Not to mention using the wrong cords can potentially cause serious damage to some expensive equipment. 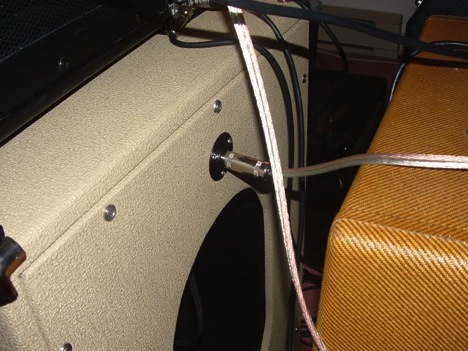 One example of an error (and I’ve been guilty of doing this myself in a pinch) would be: not using a proper speaker cable when connecting an amp head to its cabinet. Just because the connector end fits into the input doesn’t mean the cable is meant for that purpose. Speaker cables should be used with your amp to head connection at all times, while instrument cables should be used from the guitar to the amp at all times. Why? The biggest reason is the shielding (or lack thereof) in the cables. Your guitar puts out far less power than the amp does, and as such your cable will need a good amount of shielding to keep unwanted external noise out. An amp that pushes so much power out needs a cable that will allow for more electrical flow, and does not require as much (if any) shielding to keep out the unwanted noise. When you plug an instrument cable from the amp into your cabinet, it struggles to feed signal through. It’s used to the easier flow through a speaker cable. You run a huge risk of damage to your equipment by putting this kind of strain on the amp. Not to mention, the small speaker cable required to make this connection will generally not cost you as much (depending on quality) as a longer instrument cable anyway! The flipside of this error is: using a speaker cable to plug your guitar into the amp. As I mentioned, a speaker cable typically has far less (if any) shielding. With the low output from your instrument, outside noises have a much easier time getting into the cable which can result in lots of feedback, squealing, and static. It’s a good idea to spend the extra money on a better quality instrument cable for this reason. You get what you pay for! Make sure you buy only what you need. 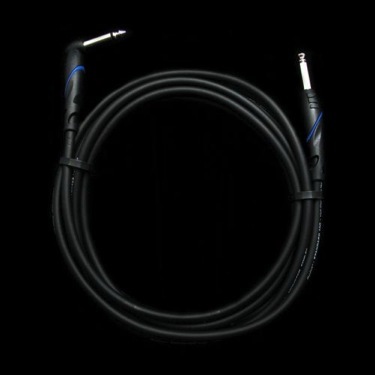 If you’re only ever going to be playing venues where you will never be more than 5 feet away from your amp, don’t use a cable longer than 10 feet! Just like when you throw a baseball or shoot a water gun, signal loses strength as it travels. The longer the cable, the more distance that needs to be covered which can actually have an effect on your tone and output. Lastly, do a good job of maintaining your cables. When you’re packing up, don’t crumple them up and throw them in your car! Not only can this ruin your cables, but it also just makes it that much more difficult to untangle everything when it’s time to set up again. Learn how to properly wrap your cables, and try to keep them from being tied to each other like spaghetti. A small piece of tape or velcro around each separate cable coil is a good way to do this. Save your money! Take care of your cables, and take care of your equipment by using the right cables! Let’s just call it Cable Care ! 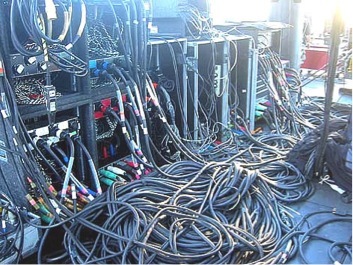 What , When & Packing Cables.